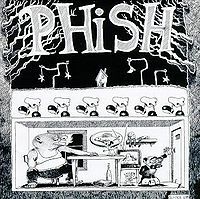 In I Didn't Know, Fish was introduced by Trey as Marco Esquandolas prior to his vacuum solo. Weekapaug included a Life’s Been Good tease from Mike. This was actually a really good show to hear. Better than I expected with well played versions of most songs and really rocking overall. IDK gets things going on a funny note with Fishman’s antics to go along with it. It seems a little early for YEM, but this is a good version though short and sweet. A-Train was nice and smooth and afterwards the calls go out for Undone already. Bag is getting better every time and this one was a little fast. Fee was ok and had a lame ending to it. Mike’s was very solid, Hydrogen was ok, and then Mike’s intro was great going into a rocking Weekapaug. Very well done tonight. Alumni>LTJP continued the rock fest of this first set and were also well played. Then a brief narration by Trey brings us a rare Divided Sky set closer, which was nice and pretty tight. Good first set overall to my ears. Oh Kee Pa>Suzy was a great way to start the second set and the calls for Sparks start from the crowd. Rocky Top isn’t very tight yet, but it’s getting there. We get more Mike tonight with a fast grooving Ya Mar and we still have many calls for Sparks between songs. Walk Away rocked, but had an unsure ending. Lizards is also getting there, but not totally tight yet. Antelope rocks straight up. 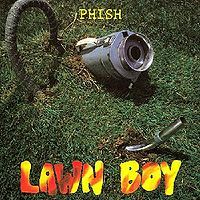 The new Lawn Boy is a nice cool down to hear after all that. Possum brings the energy level right back up and continues the rocking nature of this show. Finally at the end Fishman comes back out and does the crowd’s earlier request the last performance of Undone. There are some funny moments here, but it’s not my favorite song by any means and a strange way to end a pretty good second set. Golgi gets the lone encore spot tonight and it was well played. Really rocking show for late ’89, and their first trip to Baltimore. Definitely check this one out. I’m going with four stars to bump the average up because of how solid the show was overall front to back with minimal musical mistakes. Went to this show because a buddy convinced me to go see an Allman Brothers cover band with him. I lived about 15 minutes away and said sure, not quite wrapping my head around why an ABB cover band would be called Phish. We got there 1/2 way through YEM and by the time we had secured a few beers and settled upstairs they were into A Train. I vaguely recognized the tune from my high school band teacher playing it and was loving it by the end. 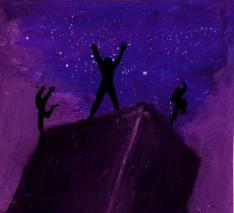 By the time they had finished Fee my buddy was done with the band and headed next door to Lush's to get hammered. I stayed and Mike's Groove really hooked me, the gentle H2O bridge and force of Weekapaug spoke to me. I left to check on him during Divided sky and made it back in for Oh Kee Pa/Suzi. A guy I met kept saying 'I hope they do Undun' and I was thinking, 'the Guess Who song', this band wouldn't be doing that. I remember Walk Away because it was one of the few things I knew and was I loose and dancing at that point. Antelope became an instant favorite. I didn't get the Lawn Boy thing at the time and Possum seemed a little stupid. They closed the set with the aforementioned Undun and I saw the guy who was going on about it lost with a blissful smile. The 8X10 at the time had the stage in a corner on the first floor and it was a triangle in the far corner, the band was packed tight on the stage, but you could tell they were having a great time. When I saw they were coming back a few months later I knew where I would be, better versed in their originals and off on a ride I hope continues for many more years. Sounds like Trey's voice is struggling a little bit for this gig, but all in all it's solid though average. 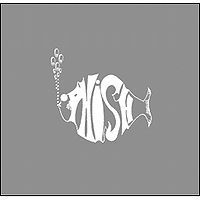 YEM is pretty solid, and Mike's has a nice little F jam, while Weekapaug gets off to an interesting start with Mike teasing "Life's Been Good." I will also mention that the Ya Mark and Antelope are pretty strong, and I really enjoy Undun and wish J. Edgar Hoover would bring that back (though not as much as I wish he would bring Sexual Healing back). Not too much else to say, just an average-solid show. 3 stars.